Technical Support Engineer (Microwave / Transmission) Salary: £27 - 35,000 & benefits Start date: ASAP Location:Newbury & Liverpool (Based in Newbury for 6months all accommodation paid) This role will provide technical support to customers deploying Microwave Transmission systems. You`ll be managing technical queries and solutions. This role would suit a skilled engineer, ideally with in depth telecoms network transmission experience and knowledge of point to point Microwave systems. This company is a manufacturer of wireless transmission products, and this role will provide technical support to customers deploying Microwave Transmission systems. You`ll be managing technical queries and solutions in cooperation with the company help desk in accordance with relevant SLA. This role would suit a skilled engineer, ideally with in depth telecoms network transmission experience and knowledge of point to point Microwave systems. We are happy to speak with professionals that have UK based telecoms network / transmission support experience either in a NOC or helpdesk environment or technical support professionals from the cellular / microwave / mobile industry. You`ll provide resident engineer support to the Customer Service Operations 2nd line support teams in accordance with Service Operations KPI requirements. The first 6 months for this role will involve working on site in Newbury (Accommodation will be paid). After that 6 month period, the role will swap permanently to Liverpool. *Have to be up to date on the existing customer operational processes and procedures. *Planning, organisational, analytical, decision making and problem solving skills. *Knowledge of Network management systems and techniques. *Knowledge of IP and TDM technology. 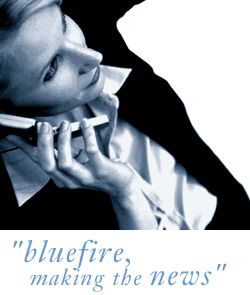 Bluefire Consulting is an employment business acting on behalf of a client company.